This need stems from the observation of users in the museum and how people, with little knowledge in arts, tend not to go to the museum because they do not know what to see and are not able to understand what they are looking at, so they opt for other activities that are sure to please. Mneme aims precisely for these people who don’t know their own preferences, but they have the willing to understand them. This application tip to understand (automatically) the user’s preferences and manifest them, helping in the exploration of the museum itself and on the visit to other museums to. 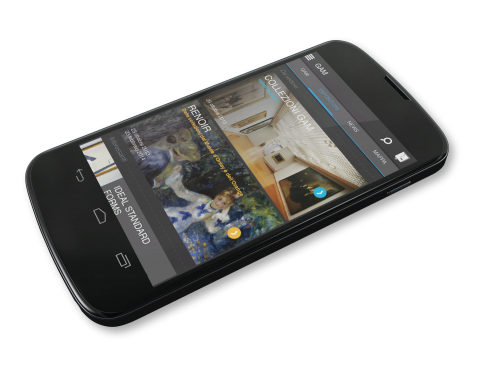 The application in this case is developed for the Gallery of Modern Art in Turin (Gam), assuming an indoor localization system extremely precise useful to the operation of the app (especially for the understanding of the preferences). 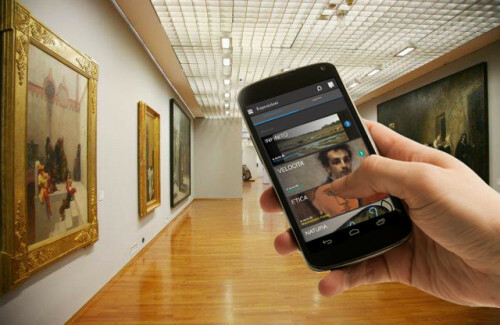 The system is designed to be a customized guide Gam able to adapt the exploration of the museum according to user preferences, understood automatically by detecting the position and the time spent in front of an artwork of the user, and therefore adapt and deliver content as well as artwork that may be of interest to the user. The thesis collects inside of it the design process of Mneme starting from research and analysis of existing applications, through the study on the users, to arrive to the definition of the project itself, including the various phases of the project that helped define Mneme.